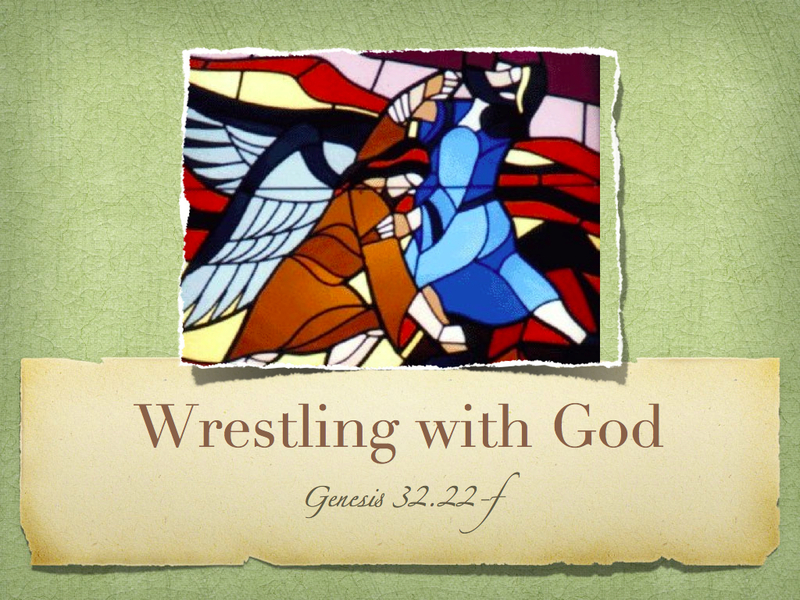 I have been captured by the phrase “Wrestling with God!” I realized I have been doing this one way or another for most of my adult life! 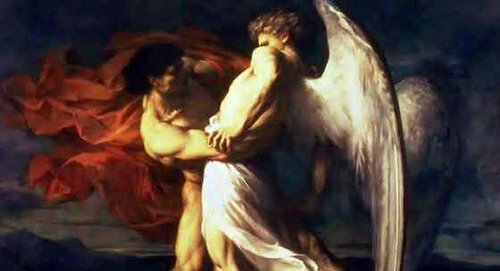 It was the theme of the Old Testament lesson this past Sunday from Genesis 32, as Jacob wrestled with the man—the angel—the Pre-Incarnate Christ—THE MAN!!! Jacob became “Israel” as he prevailed. 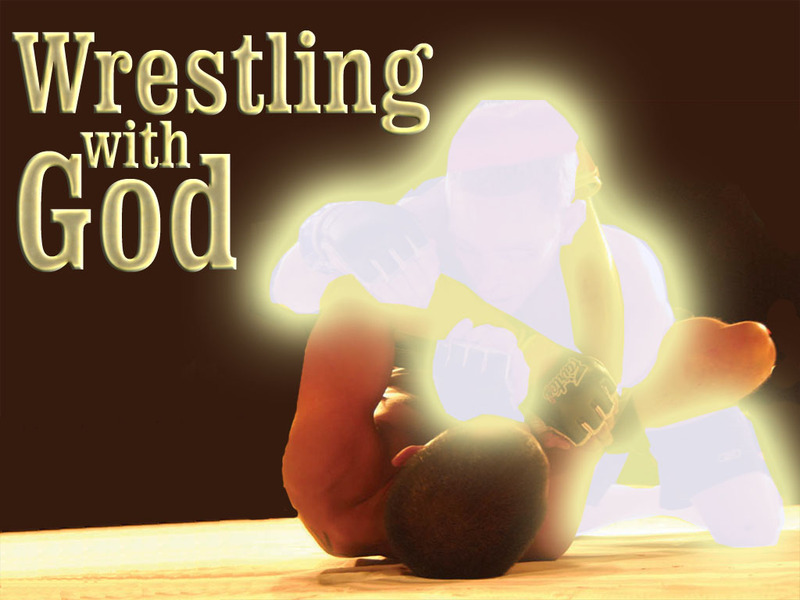 There seems to be a right way and wrong way of wrestling with God, a positive and a negative approach. What I would call ‘the negative approach’ reminds me of the antics and sensationalism of “Wrestle Mania” where all the participants should have either been dead or quadriplegics decades ago if we are to believe their wrestling moves are authentic. This Hollywood performance was my first understanding of wrestling, living just a few houses away from my grandma and grandpa in Fargo, North Dakota during the first six years of my life. It’s a memory wrestled from my past that I had forgotten. I smile when I think of my beautiful, sensitive grandma—the wife of a Lutheran Pastor—being “reeled in hook, line and sinker” into the fantastic world of Vern Gagne, the masked Dr. X and Mr. M, Mad Dog Vacchon, Larry “The Ax” Henning, and too many more to mention. It was not until high school, when I became friends with the great wrestling brothers Dave and Dan Kranstover—along with the amazing one armed Steve Connell psyching out his opponents—that I realized the positive and true nature of wrestling; one that I later observed at a higher level in the summer Olympics. Two kinds of wrestling: one for glitz and glory, glorifying the participant, the other for personal growth and competition, surrendering the wrestler to the challenge of the match. 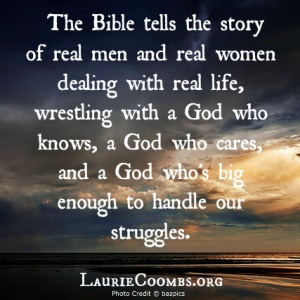 Such are the ‘both sides now’ of my wrestling with God. You can go your own way—go your own way—as ones limited strength is soon depleted with no reserves left but to wallow in self-pity and blame. This was Jacobs’s fearful plight, having deceived his father Isaac with his mother’s help, stealing the birthright of his first born twin brother Esau—a wound still festering after twenty years. He was now left alone to encounter his brother in the wilderness, fearing he would be destroyed. It was there, as so often happens to us, paralyzed by fears and doubt and our pasts, that God intervenes. But His intervention is not always immediate nor without intense struggle. I am reminded of Neo, the Messianic figure in The Matrix, who in order to meet with the Oracle had to fight her bodyguard. After an intense struggle Neo asks why that was necessary and the response was that you do not know someone until you fight (wrestle) with them. 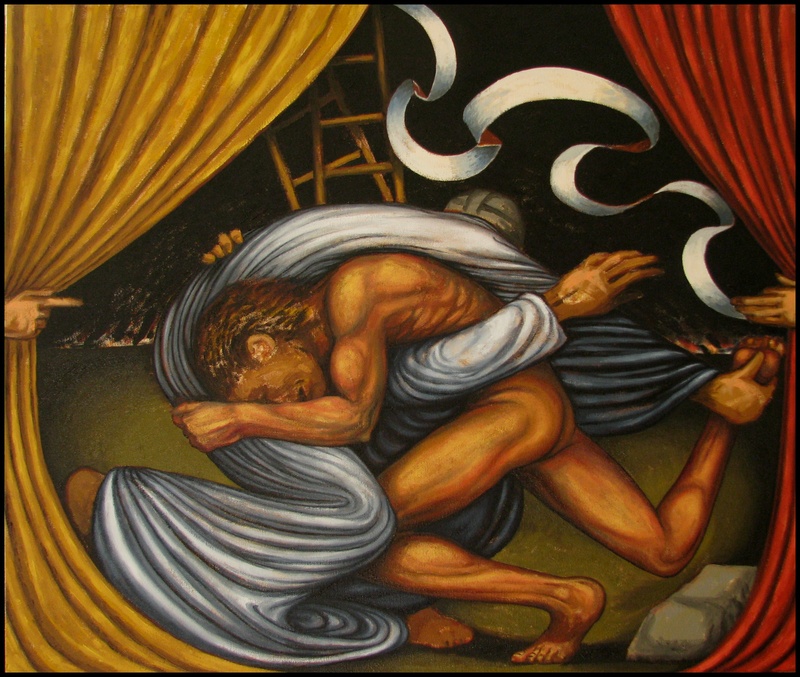 The word ‘wrestle’ is more helpful in this context, with the goal of transformation rather than destruction. Right or wrong wrestling? 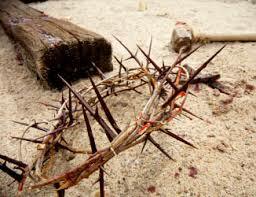 Jacob’s salvation or destruction? And what about the world’s salvation? From Judah, one of Jacob’s twelve sons, came “The Lion of Judah”—The Messiah! After wrestling all night with Jacob, the Lord could have overcome him at any time, as evidenced in the dislocation of his hip, but Jacob needed to persevere, wrestling with God, not letting go until he received a blessing—until he was changed! 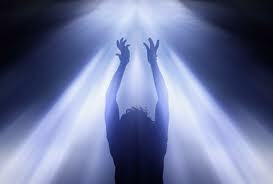 I believe Jacob’s blessing began with the strength to wrestle through the night, being change in the process. God’s grace is sufficient. When we are weak, He is strong. This same BEING said to the Apostle Paul: “My grace is sufficient for you, for my power is made perfect in weakness.” And Paul’s response was “Therefore I will boast all the more gladly about my weaknesses, so that Christ’s power may rest on me.” Jacob prevailed and he was given a new name and a new being. It’s easy to simply know this story, to talk the talk, to preach a good sermon, but I know that people would rather see a sermon than hear one any day. Upon leaving worship I sometime say to the worshipers and to myself: “The sermon is only half done, the other half is when it is lived out!” . . . Honestly, what can I say??? I can say that my times of negative wrestling are diminishing. That on my better days I can say with the Baptist, “I must decrease and He must increase.” The great blessing and miracle is that even on the days I choose to increase myself—in my own wrestle~mania—even then I am being changed, as I know and believe too much. 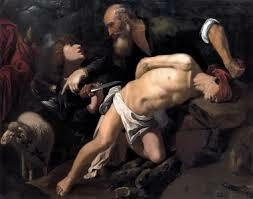 Even as Abraham wrestled deeply with God when asked to sacrifice his own son, God intervened! 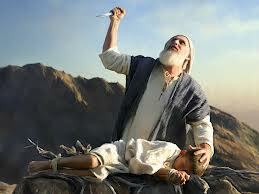 What Abraham was asked to do, God has done….offering his only Son…….for us.